Nenji lives a quiet life, but with a longing for adventure. Barely considered royalty, her life is uprooted when the Dragon King sets out to eliminate the threat of the Lorac Family revealed by prophecy. Nenji has to learn quickly about magic, politics, and herself as she takes on the roles of young lady, witch, and queen. 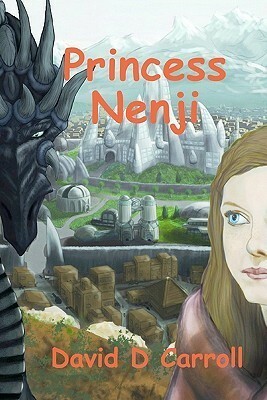 Princess Nenji is a gripping novel. This fantasy story revolves around a young 14 year old girl, mages, royalty, dragons and creatures you never even imagined. This book gives new insights about justice and mercy, coming of age, and the power of a family’s love. It is a quick read, both exciting and refreshing. You will be continually surprised at how the plot unfolds. The author has been called a creative genius, and this book is unlike any other book you have read. As the result of shady corporate experiments, John Flood no longer needs to sleep. Instead, he lives in a constant dream-state where sometimes it’s hard to decipher what’s real and what isn’t. A side effect of his supernatural insomnia allows him to see patterns and make connections no one else can. This ability serves Flood well in his new “career” as a makeshift private investigator, and he’s recruited an ex-cop looking for redemption to be his assistant. When the pair begins to unravel the connection between thousands of unsolved and seemingly unrelated murders, Flood discovers the one secret that has eluded him: his own past.